Islamic Banking Comes of Age – But What’s Next? Events of the last few years have forcefully shown the Muslim world’s resentment of the West’s power, influence and encroachment on its way of life. That power is nowhere more evident than in the finance arena, where Western banks and financial markets dominate but contradict strikingly with traditional Islamic beliefs. Over the past 25 years, however, a non-violent challenge to that dominance has been building. The change has come from a caravan of Islamic financial institutions and Islamic subsidiaries of major international banks that have steadily expanded their operations. Islamic banking has gone from almost nothing to an industry with assets of hundreds of billions of dollars and half of the consumer market and 10% of the assets under management in countries such as Malaysia. Yet, it has still not emerged as a truly revolutionary force in the financial world. Whether it can make that leap is a crucial question for every Islamic banker. The Islamic holy book, the Qu’ran, includes a prohibition against charging riba, (excessive) interest, which was common in pre-Islamic Arabian society. For example, a riba rate might double a debt if it cannot be repaid when due, and continue to do so at every payment interval. While different interpretations exist among Islamic scholars and clerics as to how far this injunction against interest payments goes — riba is clearly outdated — most traditional Muslims view the charging or receiving of interest as being against their religion. This would seem to rule out conventional banking practices. But Muslims would still like to save money, keep up with inflation, invest in ways that will offer a steady return and meet other financial needs. In addition, Muslims would also like the companies they own to expand, build new plants and accommodate working capital needs. These contradictory demands of religious belief and economic necessity have provided the impetus to the origin and growth of Islamic banking. The contradictions were not a big deal when the Middle East and other predominantly Muslim areas were poor. Those desperate or determined enough could use Western banks. But when petro-dollars starting pouring into the Middle East during the 1970s, and local companies and governments planned major capital spending projects, the monopoly on finance held by foreign banks rankled. A school of economic thought began developing that explored new ways of meeting the saving, investing and financing needs of Muslims in a religiously acceptable way. In 1973 seven Arab nations banded together to form the Islamic Development Bank, which would function like the World Bank in promoting economic development, regional trade and Islamic financial markets but do so in a way that was acceptable to Islam. (The bank was launched in 1975 and now has 55 member states.) Several countries, including Turkey, that were looking for new ways to fund development projects conceived of products such as revenue bonds that were compliant with Shariah or Islamic law because they did not distribute interest. “It was part of a development strategy for financial markets,” says Wharton finance professor N. Bulent Gultekin, formerly the head of Turkey ’s Privatization and Housing department and later a governor of that country’s central bank. “There was concern that many people didn’t use banks or financial services because interest was prohibited,” he explains. It is unclear whether Islamic banking resulted from the entrepreneurial drive of bankers, governmental efforts to obtain funds for economic growth in ways that appeased traditional religious constituencies and eliminated competition from Western institutions, or the revival of religious zeal. Most likely, all three factors contributed to its rapid growth. For example, in 1974, Pakistan made interest-based banking illegal, taking much of government financing operations as well as private banking activities away from Western banks. Since then, a number of banks and financial institutions have emerged which offer products and conduct their businesses in ways that comply with the Sharia. Elli Elhadj, who got his master’s degree in applied mathematics from Wharton in 1968, claims to be the first to have introduced an Islam-compliant parallel instrument to bankers acceptances [short-term financial instruments that are similar to T-bills] in the early 1980s. At that time, he worked for the London subsidiary of the Saudi-Arabia based Al Rajah Investment Corporation. “The work we did set the stage for the mechanics and documentation of doing banking in an Islamic way,” he explains. Islamic jurists had previously concluded that if financing entities take possession of an item and thereby accept some of the risk, they might be entitled to a profit similar in amount to an interest payment. In doing so, they are not lending money to the customer but buying a commodity themselves and reselling it. Further, they may package a bundle of such contracts and sell them to investors, as is commonly done today with mortgages. For Elhadj, this meant creating contracts and documentation and dealing with different taxation and customs authorities in cross-border transactions. These were complex and time-consuming challenges, but ultimately the efforts paid off. By 1987, the product had $3 billion outstanding owned by some 50 major corporations around the world. “Our way had a great attraction for trading companies because it allowed them to build inventory but not increase bank borrowings on their balance sheet,” says Elhadj. Elhadj’s product was one of many as Islamic products multiplied. Trade finance was one of the first and largest areas. Over time, however, many types of Islam-friendly financial products were created to cater to needs such as corporate borrowing, mortgage financing and long-term investment. Though specific numbers are hard to come by, the Islamic finance industry is said to have some $200 billion to $250 billion in assets under management; the Economist Intelligence Unit reckons that it is growing an annual rate of 10% to 15%. Today some 150 dedicated Islamic banks exist around the world. Almost all these banks are based in Islamic countries, but they also have subsidiaries in countries with Muslim communities, including the U.S., U.K. and France. As the Islamic banking industry has grown, conventional international banks have followed suit by offering products to investors and even dedicated ATM or deposit windows for Muslim customers who want to know that their money has been treated in a religiously pure manner. “I was surprised by the growth in Islamic banking,” says Ibrahim S. Dabdoub, chief executive of the National Bank of Kuwait, a conventional bank. “But I believe it was the result of a sincere outgrowth of feeling among religious people.” Dabdoub is among the speakers at the Wharton Middle East Alumni Conference, titled “Leading Change in a Changing Business Environment,” which will be held in Dubai on March 13. There is now a Dow Jones Islamic Index — which includes companies that do not produce alcohol, tobacco products or other items forbidden by Islam and have a very low level of debt or earnings from interest — and dozens of Islamic mutual funds. Malaysia, the leader in Islamic finance, issued almost $4 billion in Islamic bonds in 2003. Companies such as the Swiss food giant Nestle placed a $184 million seven-year Islamic bond last year. As a result, it is hardly surprising that most Islamic financial products look a lot like regular bank products, and often cost the same amounts. Moreover, Dabdoub of the National Bank of Kuwait notes that in many Middle Eastern countries — and in specific product lines such as investment banking — Islamic banks have yet to make many inroads. “Islamic banks have been strong in retail banking and consumer credit,” he says. So far, though, they have not challenged his bank in other areas or taken aim at large public projects. 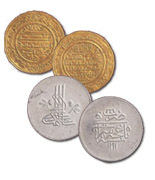 “The idea of Islamic banking is very old, from the Middle Ages. It is more like private equity or venture capital,” says Gultekin. Yet the level of Islamic banking diverted to long-term business or economic development is very low. Timur Kuran, a professor of law and economics and the King Faisal professor of Islamic thought and culture at the University of Southern California, has pointed out that longer term or venture capital investment has never been more than 5% of any of these institutions’ portfolios. So far, the players in this industry — from the El Shamil Bank in Bahrain to Citigroup — have developed products that mimic conventional financial instruments while meeting the careful legal parsing of Islamic jurists who sit on the advisory banks of these institutions. Instead of paying interest, banks pay a pre-specified profit on funds they “invest” for depositors. Muslim investors cannot hold debt instruments but they can collect rent or lease payments from a prudently packaged portfolio of real estate or leased equipment. These products do not stretch the boundaries of conventional finance or systematize a method to involve a community in the success of enterprises in their midst. “The Islamic world is poised on a precipice where it can fall into stagnation and repression like socialism in the 20th century or, its evolution can follow the course of the Protestant Reformation which ushered in an era of forward looking reforms,” says USC’s Kuran. Kuran notes that small differences in cultural practices, legal or religious structures can add up over time to create a defining climate for the economic or social order. He argues that the underdevelopment of the Muslim world was largely the result of religious rules that curtailed the size of organizations, predicated wide inheritance patterns, and withheld legal protection to corporations or groups of individuals. In the process, the Muslim world lost out at a time when the industrial revolution was sweeping the West and developing new legal and religious systems that accommodated this economic growth. Now, however, Kuran believes that innovations in Islamic finance could potentially ignite development booms throughout the Muslim world. That is where Islamic banking is today — an industry awaiting its Renaissance.